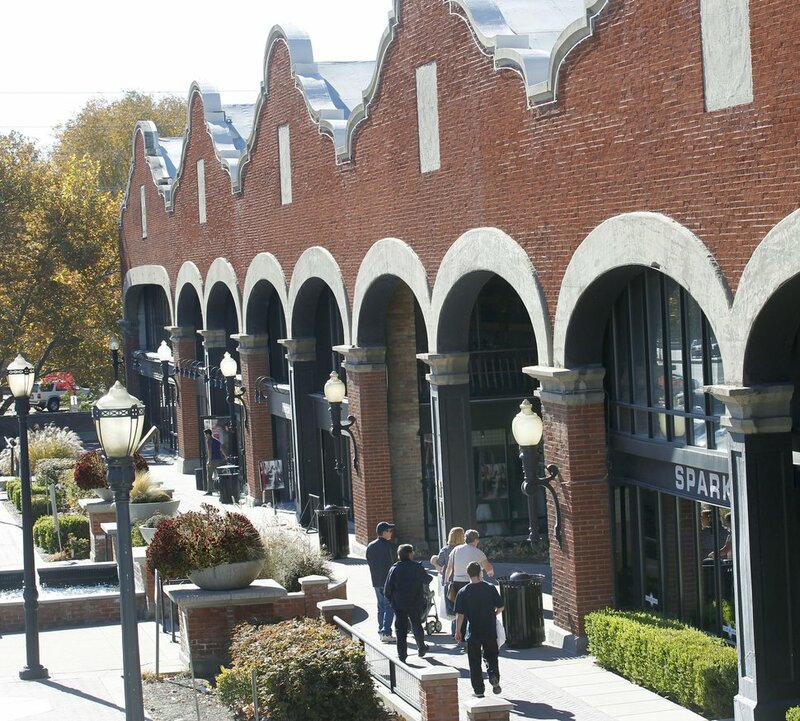 He turned Trolley Square into a mall and restored three classic Salt Lake City high rises. Wally Wright, a pioneering developer, dies at 84. (Salt Lake Tribune file photo) Wally Wright in 1973, sitting in the Trolley Square shopping center that opened in 1972. Wright, who developed the former transit barns into a shopping center, died March 24, 2019, at the age of 84. Wally Wright, the Salt Lake City developer who transformed the city’s antique transit barns into the Trolley Square shopping center, died Sunday, after a long battle with Alzheimer’s disease, his family said. He was 84. When Wright first contemplated the old bus barns at 500 South and 600 East in the late 1960s, they were an eyesore, operating essentially as a garage for the National City Line and later Utah Transit Authority buses and Utah Power maintenance vehicles. The block was filled with junked vehicles, and fenced off by barbed wire. Wright wanted to turn the barns — which had been the headquarters of Salt Lake City’s electric trolley car system in 1908 — into something similar to San Francisco’s Ghirardelli Square, a classic building brimming with new commerce. He was bucking the then-common practice among Salt Lake City developers, who were more likely to tear down a historic building and erect a steel-and-glass box. It took years for Wright to build up the capital to buy the property, first partnering with businessman Izzy Wagner, and later pooling money with some friends. Wright — who was given the nickname “Trolley Wally” — took advantage of the demolition of other historic buildings. He scavenging the rubble for staircases, doors, cupolas, an antique wooden tub, a cast-iron archway, street lights and even a bridge from a Tooele mine. Those items, and a lot of salvaged bricks and refurbished trolley cars, were incorporated into the restored Trolley Square, which before he got it had its bricks painted yellow. (Al Hartmann | Tribune file photo) Shoppers at Trolley Square are seen in this 2008 file photo. Trolley Square opened in 1972, with Wright as owner and developer. He sold most of his interest in the mall in 1986 to Melvin Simon & Associates. Trolley Square was added to the National Register of Historic Places in 1996. The shopping complex is now run by S.K. Hart Management. Wright also shepherded the restoration of historic buildings in downtown Salt Lake City: the Boston Building, the Judge Building and the Commercial Club Building. He had a hand in putting rides in Liberty Park and an alpine slide in Park City. He also worked to transform St. Louis’ Union Station into a hotel, retail and entertainment center. Not all of his renovations were successful. A rebuilt Saltair resort on the Great Salt Lake — including a water slide, dance pavilion and gift shop — was washed away by floods in 1983. Wallace A. Wright Jr. was born Feb. 19, 1935, in Logan. He and his family moved to Salt Lake City a few years later. In his youth, Wright learned from the ski pioneers, the Engen brothers, and spent hours skiing and ski-jumping. He graduated from East High School and the University of Utah. After college, Wright enlisted in the U.S. Air Force, flying an F-86 fighter jet. He later flew cargo and refueling planes for the Air National Guard, where he achieved the rank of major. Wright was married twice, to Jeralynn Topham and Karen Schumann Marchant. He is survived by both wives; by six children with Jeralynn: Wallace “Tri” Wright, Shauna Sloan, Merrick Wright, Jennefer Gillette, Devin Wright and Laurel Smith; another child, Andrew Latta; two stepchildren: Brandon Marchant and Sarah Marchant; four siblings: Gary Wright, Kent Wright, Colleen Dibble and Carolyn Willey; 28 grandchildren and eight great-grandchildren. A brother, Grayson Wright, died previously. A gathering is set for Thursday from 6 to 8 p.m. at Stark’s Funeral Parlor, 3651 S. 900 East. Burial will take place Saturday at 11 a.m. at the Salt Lake City Cemetery. A remembrance tribute will take place after the burial at The Falls at Trolley Square.